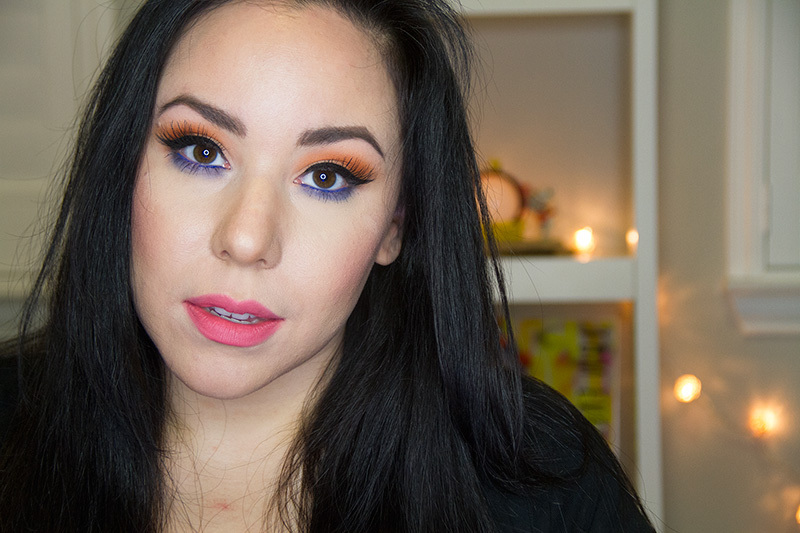 After getting my new Modern Mattes BH Cosmetics eye palette (that was full of bright, fun, colors), I just had to get started creating a bold look. I went with one of the boldest shades in the palette, the orange eye shadow, and paired it up with a cobalt blue and a thick black wing. Speaking of a black wing… I have been practicing my one handed eye liner application! I have always used two hands and pull on my eye when doing my wing, but I thought I would give it a try with one hand. Believe it or not, it was actually really easy! I got a better wing than some of the times I have applied it before. I’m definitely going to keep working on it! To see how I got this bold eye look, just watch the video below or head over to my YouTube channel.